The Negros Show Showroom located the Central City walk at Robinsons, Bacolod is no doubt one of the best place to go when looking for Negrense products. Ranging from Furniture and Furnishing, Food, Fashion and Garments, Gifts, Decors, Housewares, Natural and Organic, Novelty and Pasalubong— all these are found at the Negros Showroom. When visiting the Negros Showroom, most guests would normally include souvenir shirts in their shopping basket. 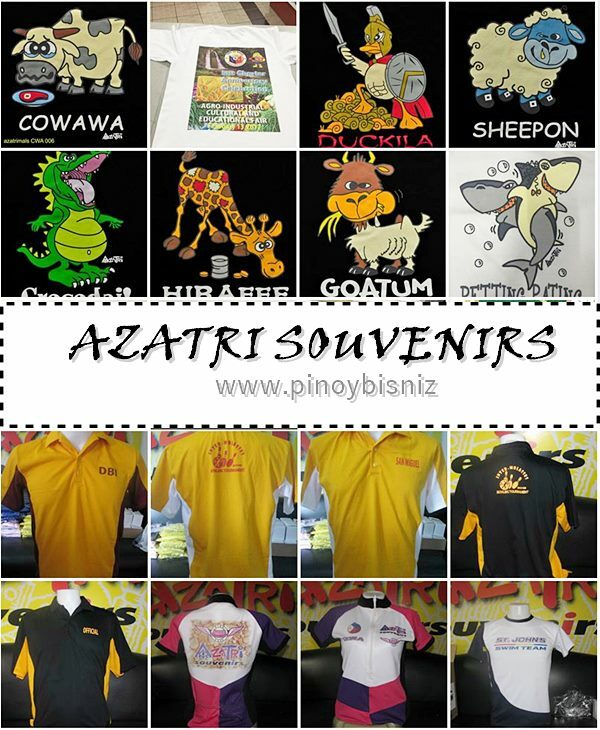 And when it comes to souvenir shirts, the brand ” Azatri” which is owned and manage by a creative couple Ricky and Arlene Infante always comes first. Known for their embossed tribal and ethnic designs, Azatri was born as Hierographics in 1992 with P100.00 as capital, equally shared between Arlene Agusila (now Infante) and a college friend. Each share was P50.00. The said amount was used to buy 1 white t-shirt, I brush and 1 small bottle of textile paint. Arlene made the first Hierographics ethnic inspired hand-painted shirt and her friend sold it to her sister. In a month, the business grew to P5,000.00. Hierographics took in additional partners who invested P2,500.00 each – the partner’s sister and Arlene’s then boyfriend (and now husband) Ricky. In one month’s time, dividends of P2,500.00 each were taken out with still enough asset to make the business sustainable. In 1993, one partner of Hierographics passed by ANP Showroom along Lacson and inquired how to join. Hierographics finally had a permanent marketing venue when it’s membership application was approved. The partnership, however, was dissolved shortly after this because one has to pursue a career in sales, the other was still in school and the demand of producing for the showroom became a big pressure. As for Arlene and Ricky Infante ,they just graduated from architecture school. After buying out the partners , booth parties agreed that nobody will use the hierographics name again for sentimental reasons. Ricky and Arlene coined a new name for the business. Azatri which is derivation from Arlene’s initials AZA for Arlene Zamora Agusila and TRI for Teodulfo Ricardo Infante. The business name was approved in 1995 as AZATRI HAND-PAINTED APPARELS, our product line being individually designed hand-painted shirts. Azatri’s stint at the Negros Showroom just grew by leaps and bounds. From an itinial average sales of 4k a week, AZATRI entered the Negros Showroom’s yearly top ten sales grosser in 1996, coming in at 6th place. By 1997, azatri became no.1 and maintained the top spot until 2008 an unprecedented 12 years. They were dislodged in 2009 and again regained the no.1 spot in 2010 and up to the present. Very artistic and creative designs! I will visit your place soon together with my community. Whenever we eat at Chicken Deli, me and my family would always visit the Negros Showroom. =) I am amazed at the artistry of the “Azatri” brand. This is another reason for us to be proud as Negrenses. I remember doing business with AZATRI during my college days and I commend the designs of the shirts they produce. How AZATRI started, was a SUCCESS Story! Thanx Glaiza…THIS IS FOR NEGROS!!! 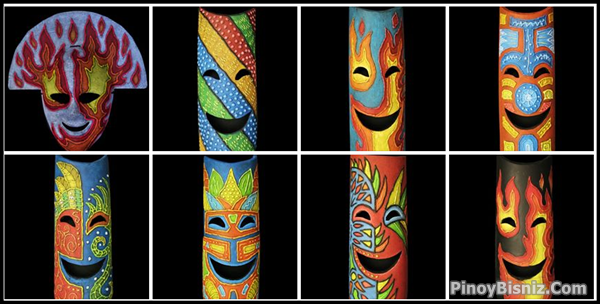 It’s a perfect gift souvenir item to my relatives and friends who will visit the City next month for the celebration of Bacolod Masskara Festival. #LCCBentrepreneurhip. I remember I bought one shirt before as a souvenier to my korean friend… And she liked it! Now I know the story behind azatri.. Thanks sir! Truly a pride of Negros. Its artistic designs are world class. Got your shirts as souvenirs for our Idols (JaDine) when they went here in Negros.